These custom designed plush dinosaurs are created from upcycled clothing and wool thread. They are filled with high-grade, hypoallergenic, polyester stuffing. 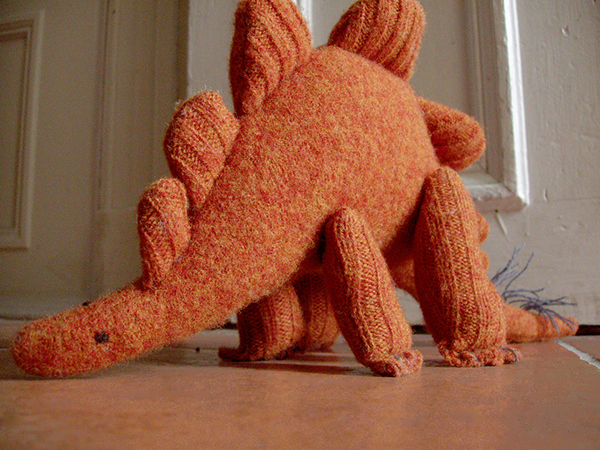 Woolly Stegosaurus Orangicus 18" x 9 ½" x 4"
Woolly Argylosaurus Cablekniticus 28" x 10" x 5.5"